We value feedback from our guests. Here are some extracts from Lanjew Park Guest Book. Easter 2018 - a great week enjoyed at this fabulous location. We even had decent weather! July 2017 - We have had the most wonderful stay. We haven't had a family holiday in a long while and this was perfect! We also don't make a habit of staying somewhere twice but we both agree that we would love to return to Lanjew. 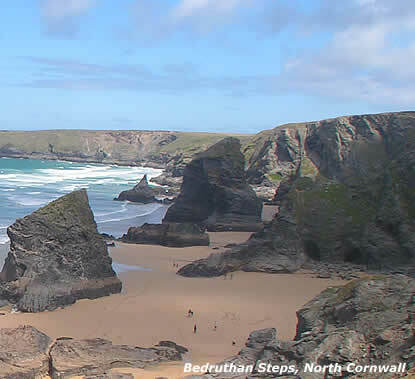 We enjoyed rock-pooling at Perranporth and Mawgan Porth, and relaxing on the sands of Harlyn Bay. The cottage is superb - not looking forward to returning to our terraced house, but we really hope to return here to this beautiful spot one day. July 2017 - We loved staying on the farm. Evening walks were the best, seeing the horses, sheep and cows. The beaches are the most amazing. Thanks. May 2017 - Thank you for another wonderful week at Lanjew. We have enjoyed helping to round up the cows and it was lovely to see the 1 day old foal. Thank you Mike. See you again in the summer. What a beautiful cottage in a wonderful setting. The scones were delicious too! We all had a wonderful week and the kids loved seeing the foals and calves (as well as the resident red-legged partridge in the garden each day)!. We can't wait to see you again next Whitsun. The whole house is very nice and homely - we have been to the Eden Project and would really recommend it to all visitors. After being at the beach all day it was lovely to have a warm and clean place to come home to. The beds are very comfy and the view is amazing. The cottage is so well equipped. What a lovely cottage! Heaven - we loved the quiet of the countryside. Dad had a lovely birthday despite the weather. Very well equipped and nice and warm. Lovely to be back at Lanjew again . Myself and the boys have had a great week. So nice, after a long drive, to arrive at a spotlessly clean cottage and a very welcome cream tea. Beautiful scented lilies in the living room. Many thanks and hope to return soon. It may have been 14 years since our last visit - we loved the cottage then, now we love it more. This part of Cornwall will always hold a special place in our Family's heart. Weather was good - no rain. The next generation of our family are now coming here and they love it too. Every time we come we discover new things about Cornwall that keep us coming back. Enjoyed a great week of relaxation! Weather was splendid with only a couple of hours rain. 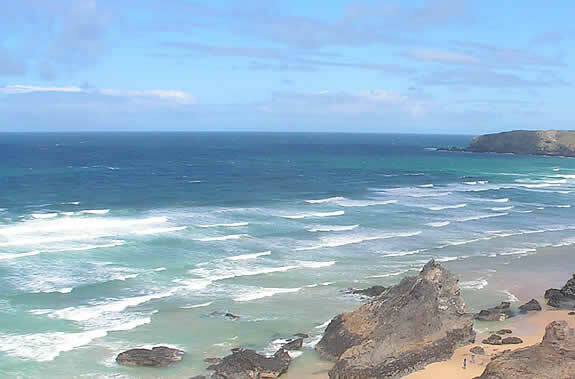 Enjoyed plenty of dog walks including Polzeath to Rock, Trevose Head to Padstow for pasties!! Cardinham Woods, Boscastle and Tintagel. Try and find the wonderfully welcoming dog friendly pub The Mill House at Treknow for some food and drink. Thoroughly enjoyable week with Lanjew providing us with a great located base. Thank you for all the amazing days! Really loved it in this nice house. This was one of the best vacations I ever had. Another very enjoyable week. The cottage was every bit as good as last year - in perfect order. I shall remember the morning walk to the top of the field with the dog. Thanks for all your advice on visits and local facilties, and for your warm welcome and ongoing kindness all week. Mike and Elaine have created the perfect getaway place. 30 minutes from just about all you want to do! 1) Beach at Polzeath, 2) Fifteen at Watergate Bay, 3) Eden Project, 4) Padstow (Rick Steins cookery school), 5) Port Isaac (Coasteering), 6) Dairyland, 7) Cycling on Camel Trail. Plus the zillion other things we still have to do when we visit next! So well equiped and comfortable, the farm house has been so relaxing. Thanks to Mike for taking the boys out on the farm. Just want to say a big thank you for everything. Mike thanks for the tour of the farm and letting us see the 10 minute old baby calf. Elaine thanks for your welcome and letting us see the dogs. I loved having the freedom which I never get at home.